On Tuesday, the Battle for Azeroth alpha ended and beta went live. What this means for us (and other classes) is that there are no more large changes and instead the fine tuning starts. We’re likely to just see balance and numbers passes in the remaining months until pre-patch when class changes go live. But the general design right now on the beta is what Blizzard intends for Battle for Azeroth. For Discipline, that means a simplification of the spec with more of a focus on shields than Legion’s design. Holy is staying relatively similar to its design in Legion with a little more utility. Blizzard said we wouldn’t see wide, sweeping changes for Battle for Azeroth like we saw in Legion. Discipline was among the most changed classes going into Legion. This to differentiate it from Holy, and also give it a unique class flavor that didn’t rely on absorbs. However, the design that was emerging in the alpha and has now been solidified in beta could be considered just as changed. It isn’t merely that they’re adjusting parts of the spec that didn’t quite work. It’s the fact that they’re reverting back to a design philosophy that had been soundly rejected. 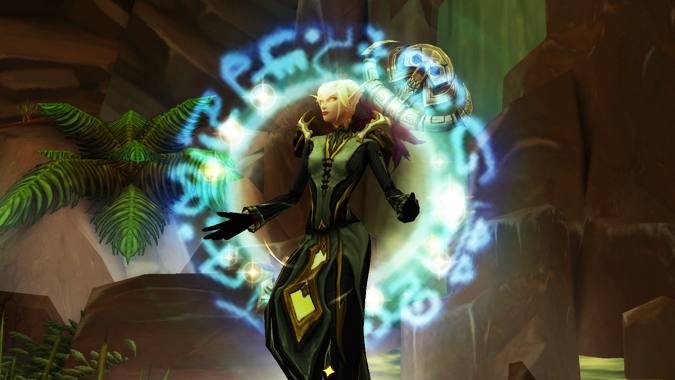 Absorbs, while fun, affect other healers and tend to promote a mindless playstyle. No sooner did I write “I hope this is not the direction they’re going,” than Blizzard immediately said “this is totally the direction we’re going.” I must admit, I’m perplexed. Don’t get me wrong, I really did love Discipline’s shields and power in Mists of Pandaria and Warlords of Draenor, but they had their issues. The entirely of Discipline’s overhaul in Legion was trying to distance the spec from those issues and create something unique. Which they completely did. I wasn’t particularly a fan of the new Discipline or its micromanaging, but it did the job. To see Blizzard go back to a focus on absorbs, without the cooldown that it has always had in some form, just seems counterproductive. I fear it will put us back into the usual trap of expansion cycle I’ve watched play out for many years. Discipline starts out completely unplayable due to overenthusiastic nerfs. 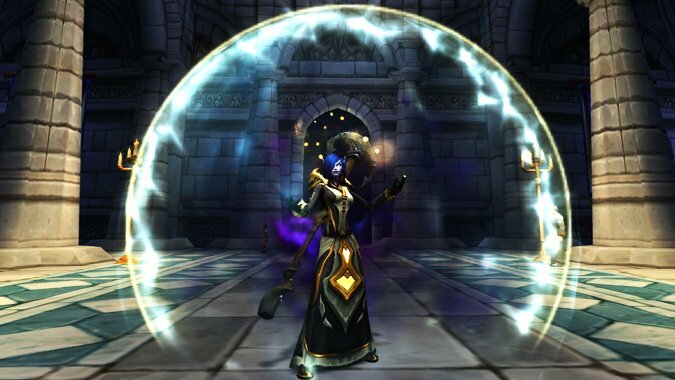 Blizzard buffs shields, Discipline emerges powerful, and players flock to the spec. 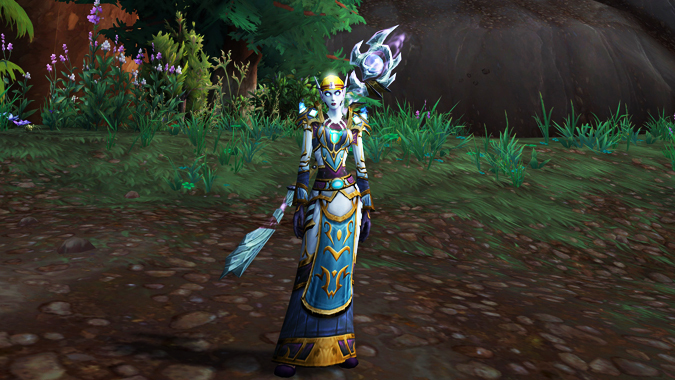 Discipline ends the expansion as the undisputed top healer. Hopefully that won’t happen. Even though it looks like a return of bubble bots, Power Word: Shield isn’t quite strong enough to perform like it used to. It mostly seems to be a replacement for Plea, which always felt kind of clunky anyway. Plea was only used to spread Atonement during fight openers. Admittedly, making Power Word: Shield perform double duty makes more sense. Shield was also recently nerfed slightly by 10%, bringing it more in line with being filler and Atonement fairy. Rapture still doubles the absorb of shields and was extended to 10 seconds with its cooldown reduced to 1.5 minutes. Discipline’s Mastery was also completely changed, taking away the increase on Atonement healing and instead increasing Penance damage, Power Word: Shield absorption, and Shadow Mend healing. At first glance this seems intended to buff single target healing for Discipline. But the scaling is off right now and is scaling poorly. 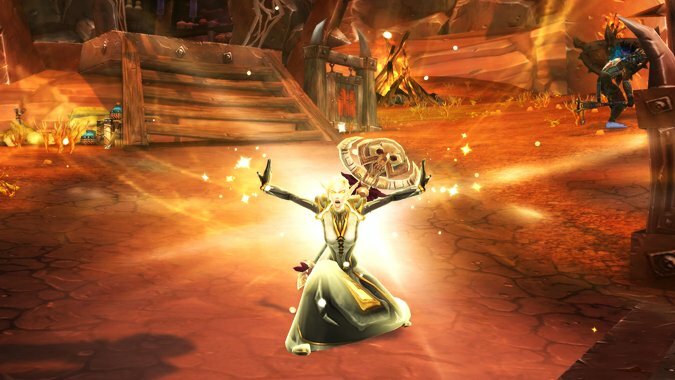 In addition to a new Mastery, Discipline also sees the return of two spells that had been relegated to Holy in Legion. Desperate Prayer is a welcome return. We’ve had very little in the way of personal cooldowns. There’s just something reassuring about being able to have an instant cast personal cooldown rather than shielding and then trying to heal though the damage. Though it has been nerfed slightly, down to 25% healing and increased health pool from the 30% currently on live. Holy Nova is where the fun comes in. It doesn’t do much for raiding, unless you’re working on farm bosses and bored out of your mind enough to see if you really can just heal everyone with one spell. In Legion it was given only to Holy and this is where I have missed it the most. Discipline does not have any AOE damage spells. This makes sense, because it would be ridiculously overpowered in a raid setting with multiple adds. Unfortunately this did squat for questing or old content. I hated switching to Holy just to Holy Nova a bunch of small adds for the Broken Isle quest or dotting up everything one by one in old raids. Adding Holy Nova makes Discipline feel less punishing in content that doesn’t have class balancing consequences. Orison replaces that pesky Clarity of Will, which was useful in niche situations but didn’t really fit in with Legion’s design like it did with Warlords. Unfortunately Orison doesn’t look much better. It’s very similar to the old Glyph of Power Word: Shield that changed 20% of Power Word: Shield’s absorb into a heal. Most of the time this was overheal. Perhaps Orison may be useful in constant ticking damage situation where no one is ever quite topped off. But it would find a hard time beating out Lenience. Lenience reduces damage throughout the entirety of the Atonement buff rather than Orison’s small heal at the beginning of it. Luminous Barrier replaces Power Infusion. I’ll be sad to see my trusty DPS cooldown go, but Luminous Barrier looks interesting. It replaces Power Word: Barrier, but it absorbs for a set amount rather than a percentage. The one downside to Barrier is that it requires the raid be stacked in one position. It’s not as effective when players are forced to spread out or are moving. I could see Luminous Barrier potentially being useful in heavy damage situations where the raid is all over the place. But it would need to be buffed or not replace Barrier in order to compete with Evangelism. Holy’s gameplay hasn’t really changed much since one of the first big builds of the alpha. Talents and spells have mostly stayed the same with a buff or nerf here and there. Symbol of Hope had become baseline and its mechanics were changed to more closely resemble the Hymn of Hope of the past than the current version we have as a talent. The ten second buff time was apparently seen as too overpowered, and was nerfed to only six seconds. It’s also now a channeled cast like Divine Hymn instead of the instant cast the talent has. Guardian Spirit was buffed slightly, now increasing healing by 60% (up from 40%). Its cooldown was reduced from four minutes to three minutes. Azerite Armor and the Heart of Azeroth traits haven’t really had much action since it just recently opened up for more testing. It’s intended to offer us more design choices and flavor, similar to how tier sets and Legion legendaries changed up gameplay. Here are the Priest traits that have shown up so far in the data files. Moment of Repose: Pain Suppression applies Atonement to the target and instantly heals them for 313. Torment of Torments: Shadow Word: Pain’s duration is increased by 1.0 sec, and it deals 139 additional damage instantly. Weal and Woe: Healing an ally with Penance increases the damage of your next Smite by 125. Damaging an enemy with Penance increase the absorption of your next Power Word: Shield by 219. Bindings of Fate: Casting Heal on an ally also heals you for 8% of the value, and Heal restores an additional 208 health. 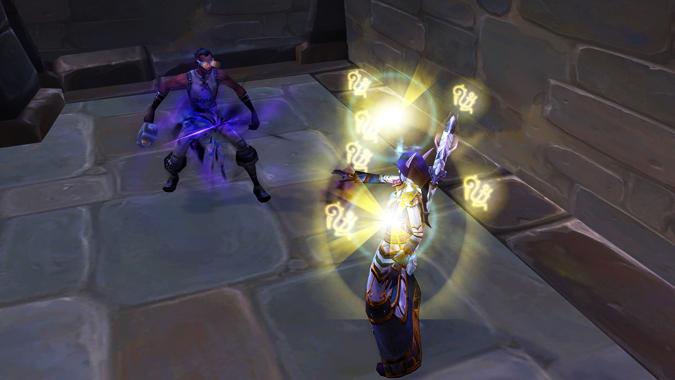 Blessed Sanctuary: Echo of Light from Holy Word: Sanctify heals for an additional (110 * 2). Permeating Glow: Flash Heal increases the healing of your Flash Heals on that ally by 63 for 6 sec. Sanctum: When you cast Fade, absorb 495 Magic damage for 10 sec. Pillar of Light: Smite has an additional 5% chance to critically strike, and it deals an additional 69 damage. 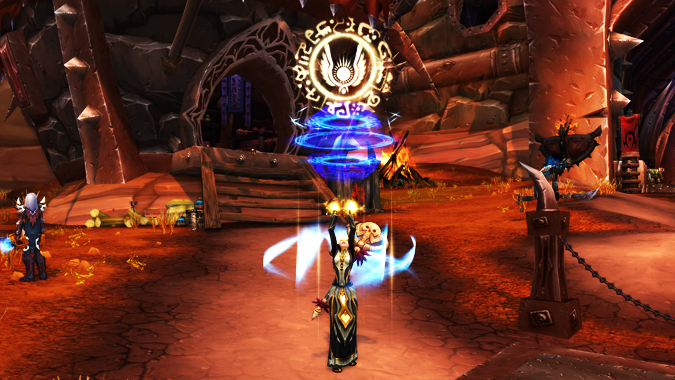 If you fear your spec being boring, hopefully the Azerite Traits will offer more interesting gameplay options. The ones revealed so far don’t really wow me, but I’m tentatively interested to see what sorts of other options we get. I’ve generally enjoyed fun tier bonuses, like the Holy set bonus in Tomb of Sargeras or Discipline 2 piece and 4 piece bonuses in Hellfire Citadel. I hope to see more like them.